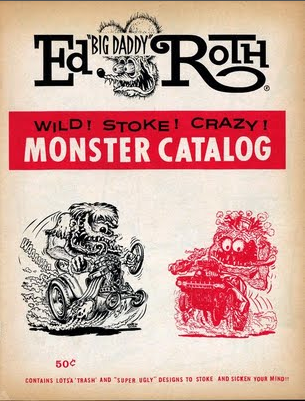 After a stint in the Air Force, Ed Roth (born March 4, 1932) began detailing and customizing cars. His earliest works were Little Jewel and Outlaw. 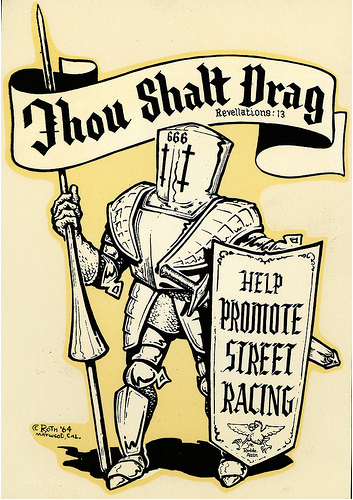 He also made money selling t-shirts and other items featuring his offbeat characters like Rat Fink, Drag Nut and Mr. Gasser. 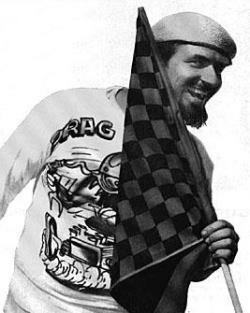 One of his most famous cars was the Beatnik Bandit, which was turned into a popular model kit. Roth died in 2001. 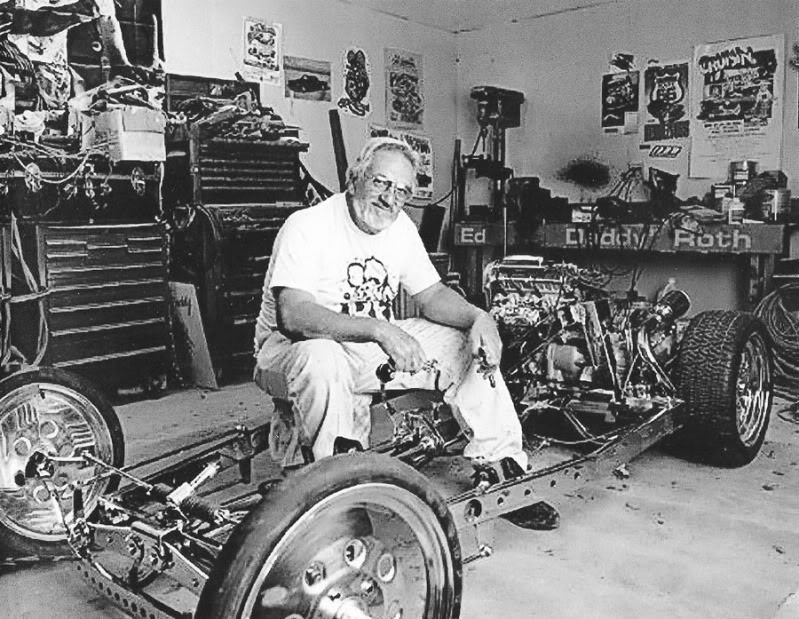 Custom car designer and artist Ed “Big Daddy” Roth was born on March 4, 1932, in Beverly Hills, California. 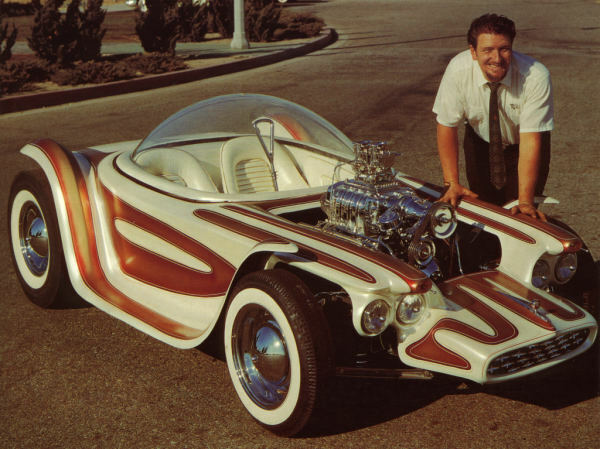 An underground icon in California’s “Kar Kulture,” Roth was one of the leading custom car designers of the 1950s and ’60s. 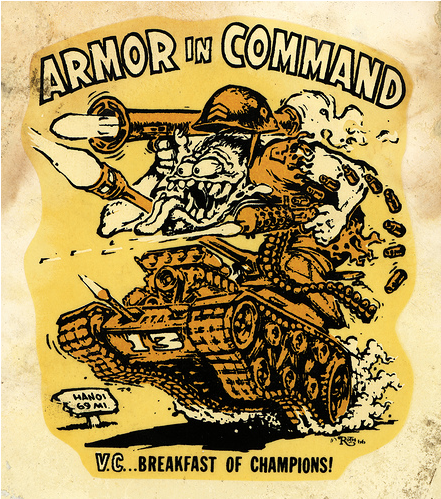 He also remembered for his over-the-top characters, most especially the bug-eyed Rat Fink, which appeared on T-shirts, stickers and other merchandise. Roth’s love of all things automotive started early on. 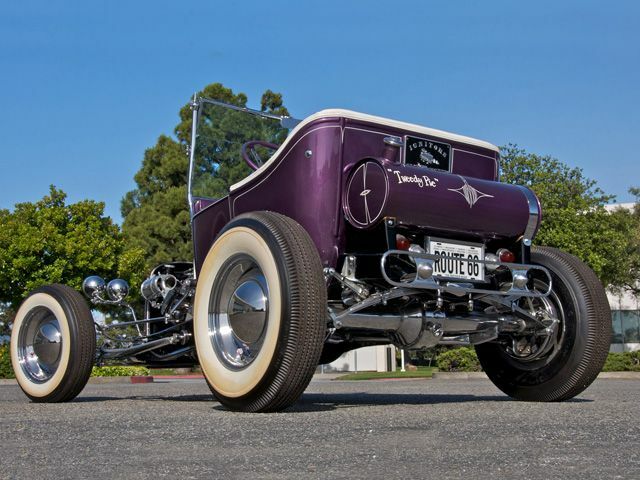 In high school, he bought a 1933 Ford and began tinkering with it. 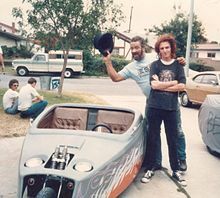 In college, Roth studied engineering at East Los Angeles College in the hopes of learning more about car design, according to the Los Angeles Times. In 1951, he joined in the U.S. Air Force and was honorably discharged after four years. Roth, by then a family man, took a job at Sears to support his first wife and their five sons. 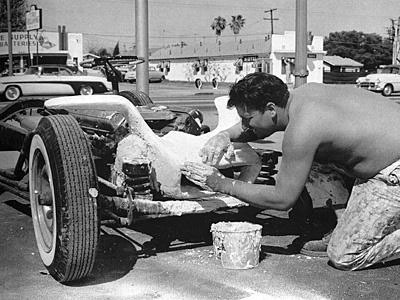 After work, Roth began detailing cars. 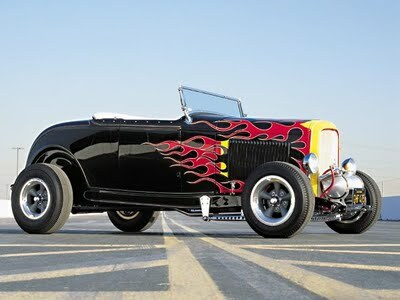 He was one of the first to add pinstripes, or thin lines, to decorate a car. At first, it was a part-time venture, but soon cars took over Roth’s life. 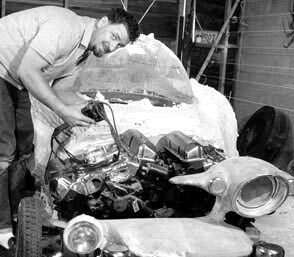 His business expanded to include selling equipment for hot rods, and he continued working on his own creations made from junkyard parts and fiberglass, a revolutionary material at the time. 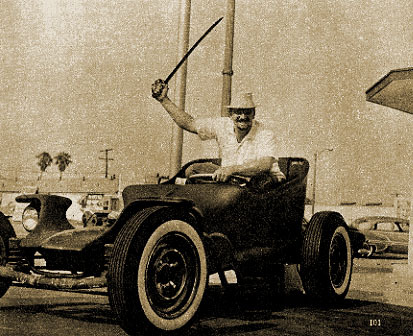 Two of his earliest cars were known as Little Jewel, a 1930 Model A, and Outlaw, his first custom car. 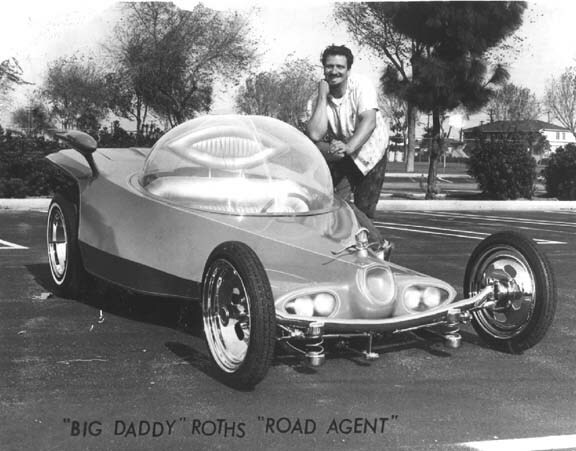 Taking his vehicles to shows, Roth started attracting attention for his work. 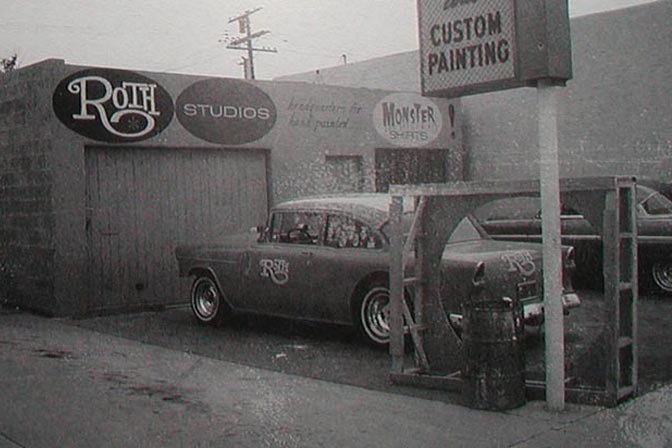 To help fund his projects, Roth opened the Roth Studio in 1959, which made T-shirts and other items featuring his characters and sold them at car shows. 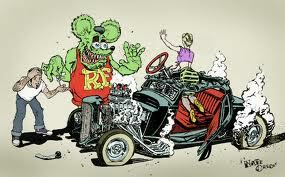 While his monsters were very popular, Rat Fink also developed a substantial following. This rodent was created to be the anti-Mickey Mouse, inspired in part by Roth’s hatred for the famed Disney character. 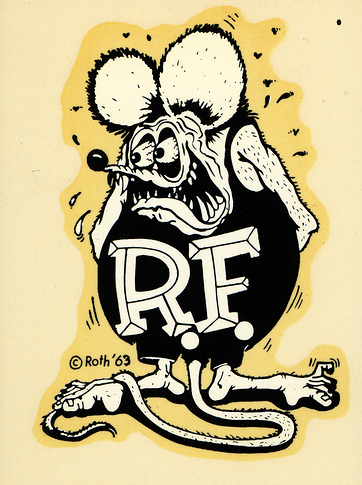 With its bulging, blood-shot eyes, jagged teeth, and tattered tail, Rat Fink was the kind of figure that appealed to young people, but not their parents. 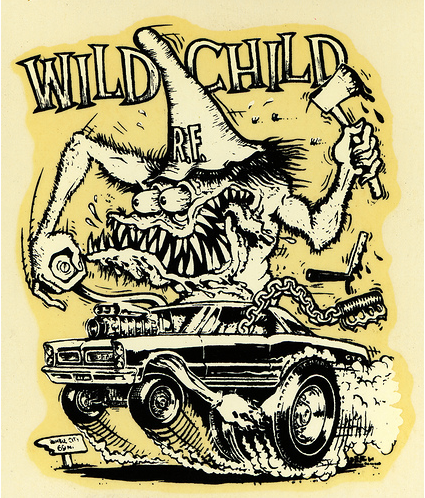 “Some people thought that Rat Fink was ghastly. . . . Moms used to drag their kids away from my booth,” he told the Los Angeles Times in 1997. 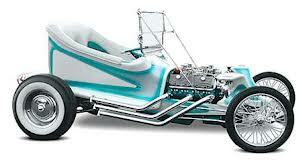 One of his most famous cars was the Beatnik Bandit, which used a shortened chassis from 1955 Oldsmobile as its base. 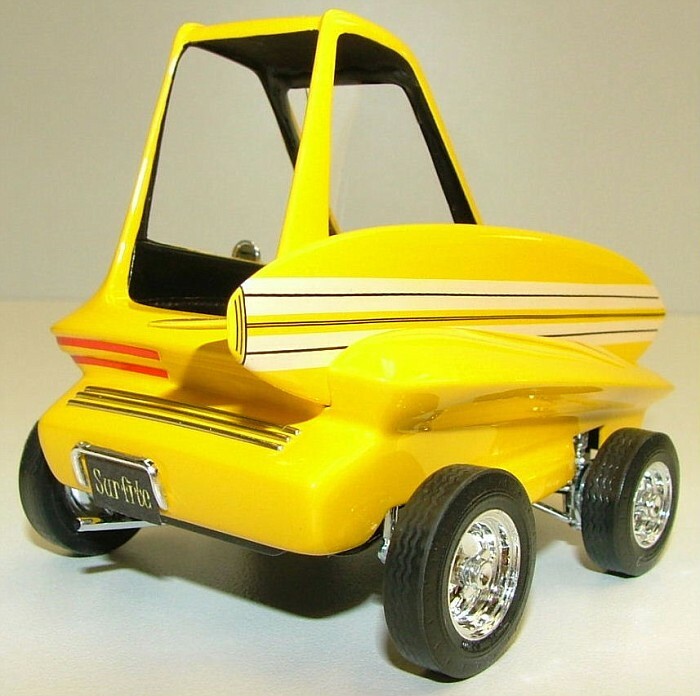 Featuring an exposed engine, unusual curves, and a bubble top, the car was selected by the Revell Company to be the inspiration for a model car kit. Roth signed a deal with the company, making him nationally known. 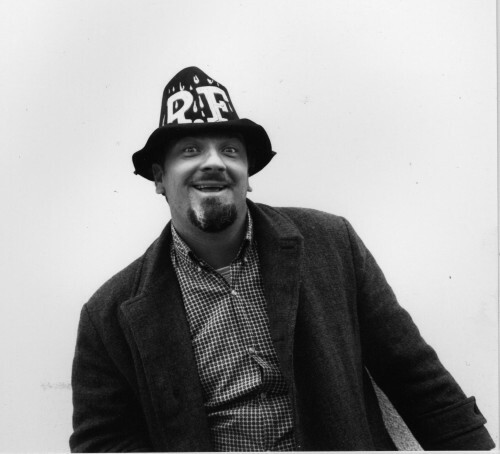 One of the company’s publicists developed Roth’s nickname, “Big Daddy,” because he thought “Ed Roth” was not going to help sell Beatnik Bandit. 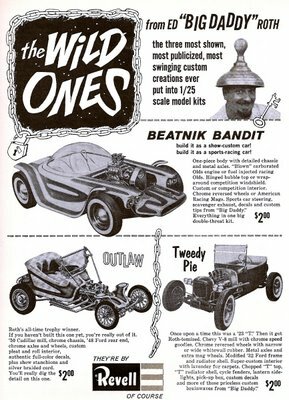 Rat Fink and some of his other characters, Drag Nut, Mother’s Worry and Mr.Gasser, were also included in some of the model kits. By the early 1960s, Roth was at the height of his popularity. 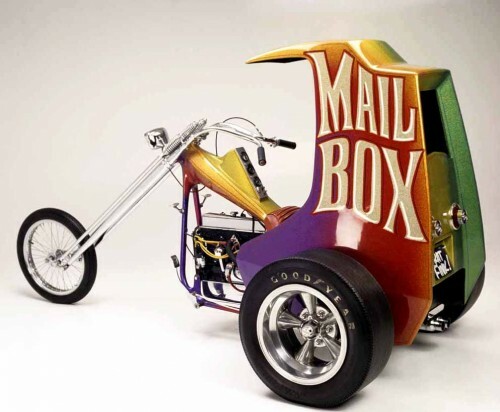 People around the country were buying Rat Fink items and building models of his creations. 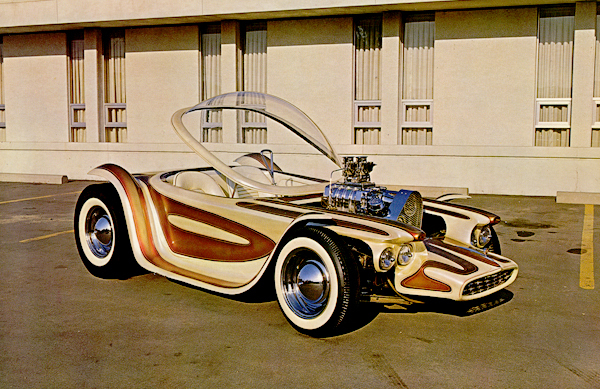 Author Tom Wolfe wrote an essay on about the southern California custom car scene around this time and described Roth as “the Salvador Dali of the movement — a surrealist in his designs, a showman by temperament, a prankster.” For example: when Revell asked him to clean up his appearance, Roth responded, in his trademark rebellious manner, by going to shows dressed in a top hat and tails. 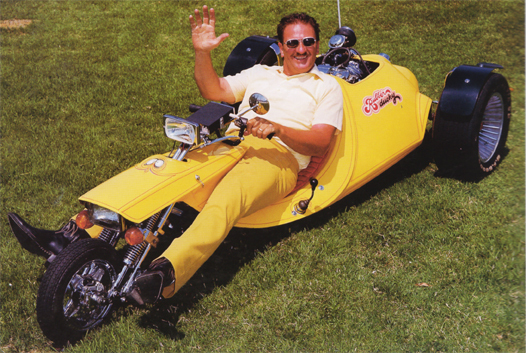 In the late 1960s, Roth became interested in motorcycles and started building three-wheeled vehicles called trikes. 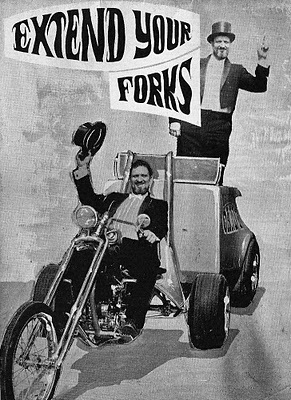 He started hanging out with members of the Hell’s Angels, a notorious motorcycle gang, and it was this association that led to Revell severing ties with Roth. 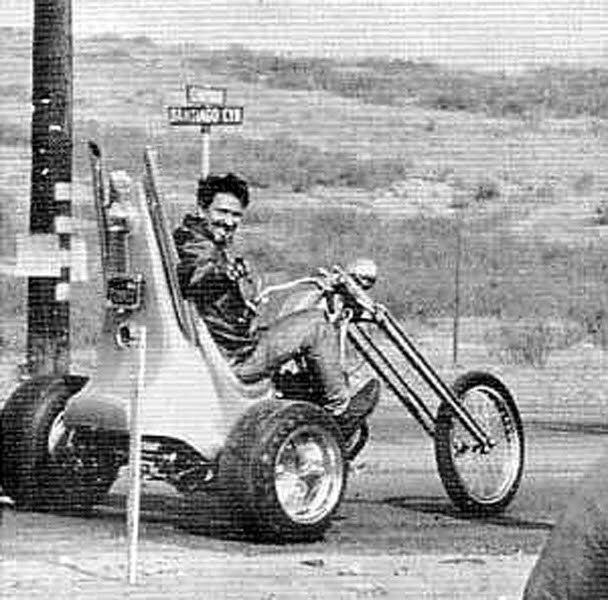 Following his latest interest, Roth started a motorcycle magazine called Choppers, which was a dismal failure financially. 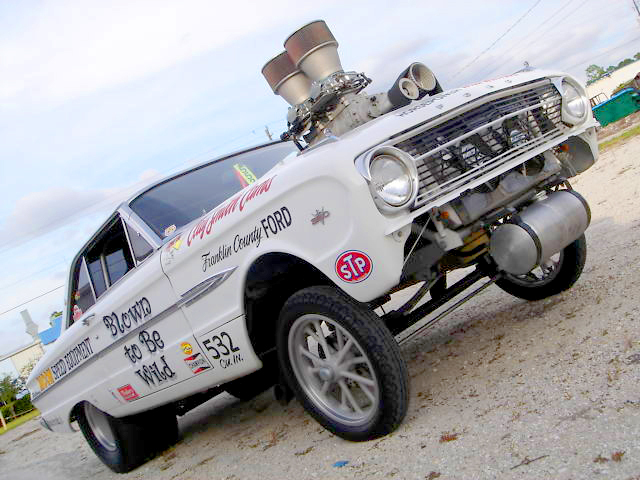 Soon he found himself low on cash and had to sell 15 of his custom cars for a reported total of $5,500 in 1970. 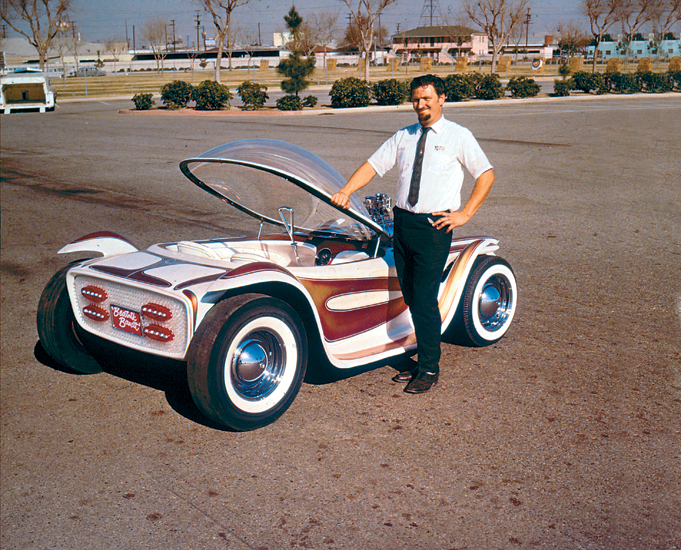 In mid-1970s, Roth became a Mormon and stepped away from the custom car scene. 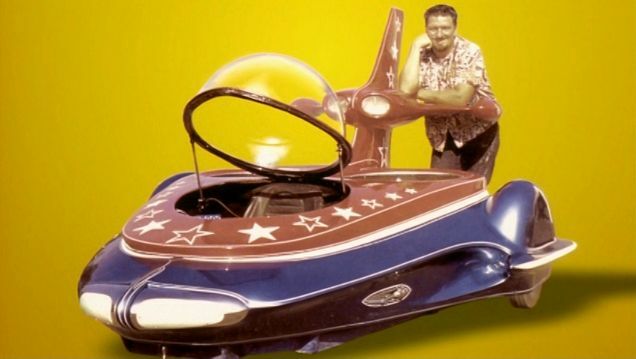 He worked for many years as a graphic designer for the Californian amusement park, Knott’s Berry Farm. Leaving his Los Angeles stomping grounds, Roth moved to Manti, Utah, in 1988. 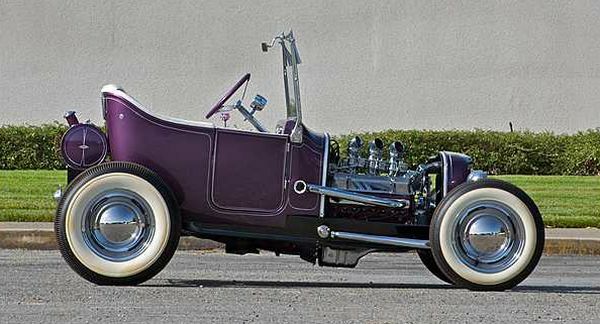 After initially giving up his passion for cars for his faith, he eventually returned to making automotive wonders. 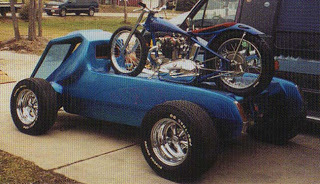 Referencing one of his greatest successes, he built Beatnik Bandit II in 1995. 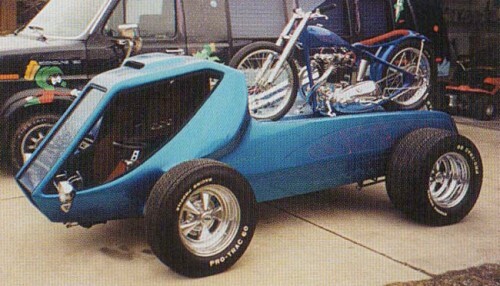 His final completed show car was the Stealth 2000, which has a classic hot-rod meets military vehicle look. In his later years, Roth began to receive critical recognition. 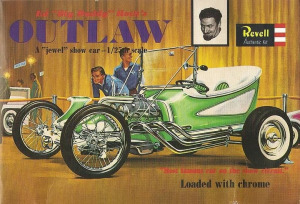 His cars were shown across the country in pop art exhibits beginning in the 1990s and the original Outlaw is part of the Petersen Automotive Museum’s collection. Roth was working on a project in his workshop near his home on April 4, 2001, when he had a heart attack and died. While he may be gone, his interest in his work remains strong. His cars continue to be featured in exhibitions and models and other Roth-related items are still being sold. 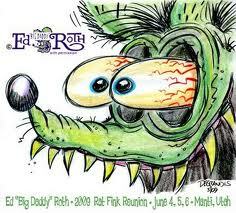 Five years after his death, Roth was the subject of a documentary entitled Tales of the Rat Fink, which featured, appropriately enough, animated segments using his trademark characters. John Goodman, Ann-Margaret, Matt Groening, Jay Leno and Tom Wolfe all contributed to the project. This would of been ED’s 81st birthday, but for me and many fans of his, he will live on forever. Big Daddy embraced a wholly original technique d’art. 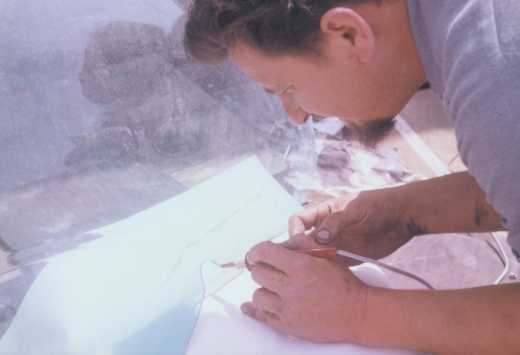 Using Plaster of Paris to create a master shape for his Outlandish California Creations, he would hand form a molten batch of Goo into a hardened Futuristic Shape and cover it all with FiberGlass, a relatively new media technology developed during World War II. 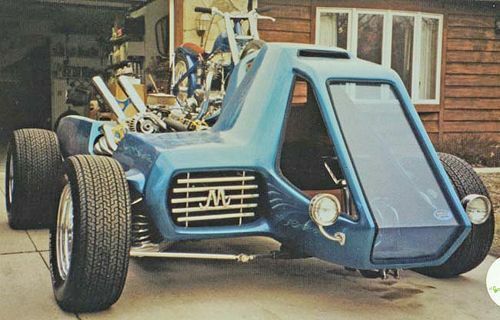 What would begin as a Big Mess on the floor, Roth would transform into a Rolling Renaissance Machine, like “Mysterion” above, built in 1963 and “Beatnik Bandit”, below in 1960. 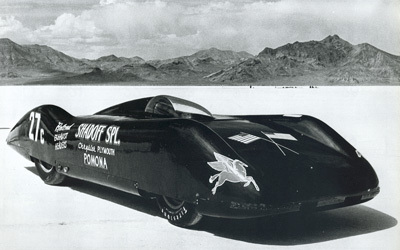 The Shadoff Special ~ Bonneville Speed Week, 1953. 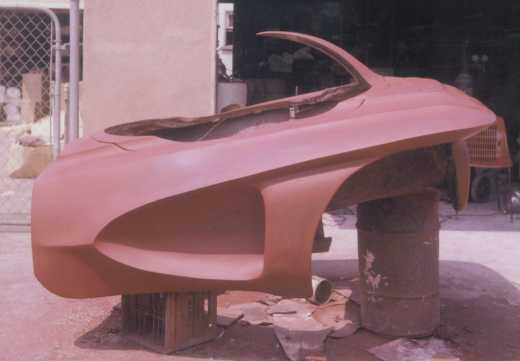 Body of fiberglass over a wooden ‘buck’ or frame, built by Dean Batchelor. One of the most successful ‘Streamliners’ of its day. 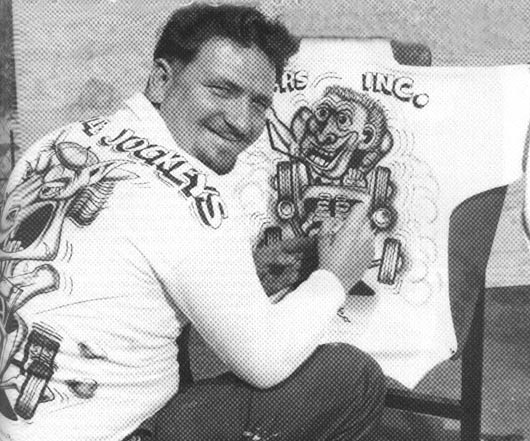 Early Big Daddy – hand airbrushing Monster Shirts, pre-Fame and screenprint days. 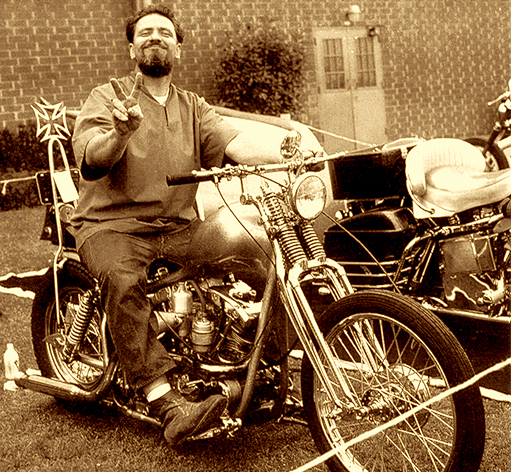 Above right, Justifiably Proud Big D with Outlaw, 1956-60. 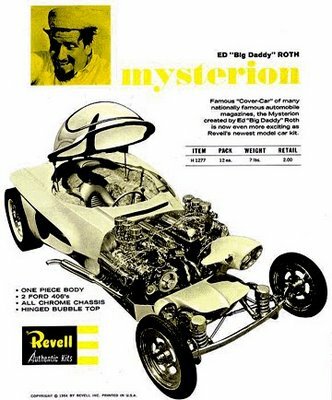 His 1st FiberGlass car, and its Offspring, the Revell licensed model kit of it you can still buy today. 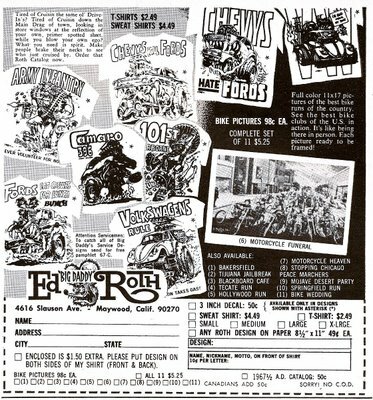 Big Daddy Roth model kits ~ every hip kids’ ‘Must Have’ in 1965 for just $2Bucks ! 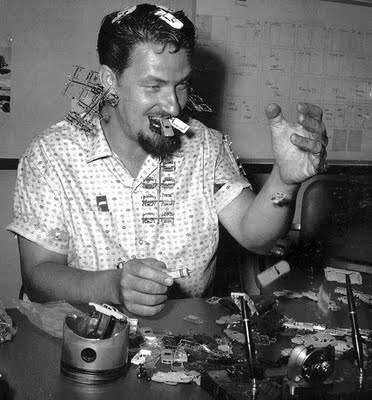 Later On he got so busy he hired a few Dedicated Employees, guys like Dirty Doug, Robert Williams and Ed ‘Newt’ Newton, who drew most of the Cool Monster T-shirt designs. Years later, Roth would work with Moldy Marvin, who carries on the Roth Legacy, maintaining ‘All Things Roth’ to this day. 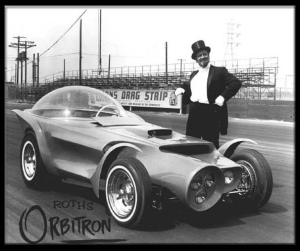 Roth’s Orbitron ~ lost for years, and found recently outside a Mexican adult bookstore & restored…ever heard the term ‘RGB’ with relation to computer color? Roth’s 3 headlights produced a white beam, in 1964. 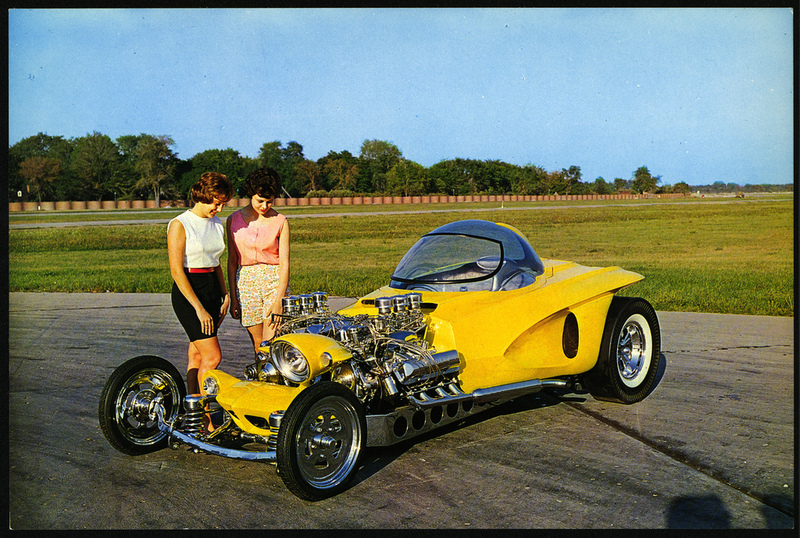 Roth felt the car was “a failure at the shows…” for not having its chromed Corvette engine exposed. Big Daddy had a family to support. 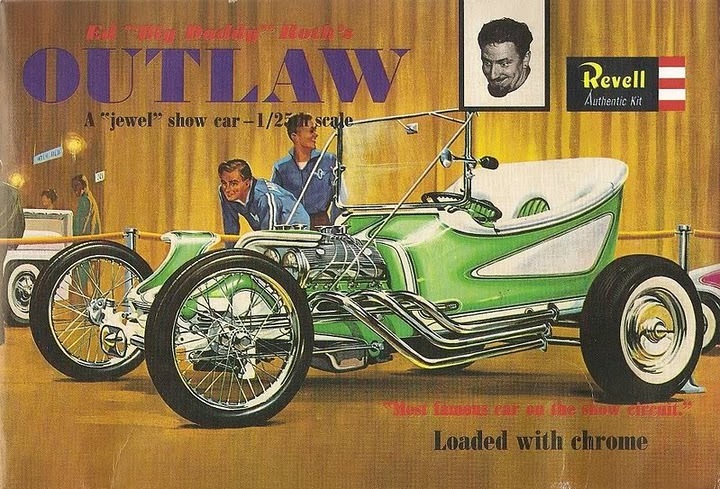 He had quit his job as a Window Display artist at Sears-Roebuck and financed his Custom Car Creations work through sales of the ‘Monster’ T-shirts, travelling around to various Custom & Hot Rod Shows and related events for years, parlaying his designs into lucrative licensing agreements with Revell, for the Model Kits. Today we think of the T-shirt, with any manner of design on it, to be anywhere from ‘Designer’ couture – as in a simple black petite ladies T-shirt with ‘Prada’ on the front, to a 12 year-old’s latest Volcom ‘Surfwear’ 18-color-cool-for-a-week-design. Roth did his original shirts by hand, graduating to silkscreens in one to 3-4 colors, a contemporary of Mr. Andy Warhol with regard to screenprinting technology. Considering a Warhol screenprint is now worth several hundred-thousand to millions of dollars – at the same time Big Daddy was knocking out hundreds of screenprints, all the while producing 3-dimensional full-size Rolling & Driving Works of Art. 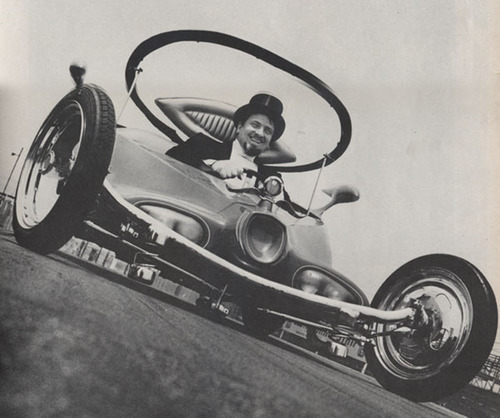 Genius at Work ~ Roth and “Rotar”, motorcycle-powered hovercraft, 1965. Would it fit Obama’s programs to develop ‘alternative energy’ today? Quite possibly. 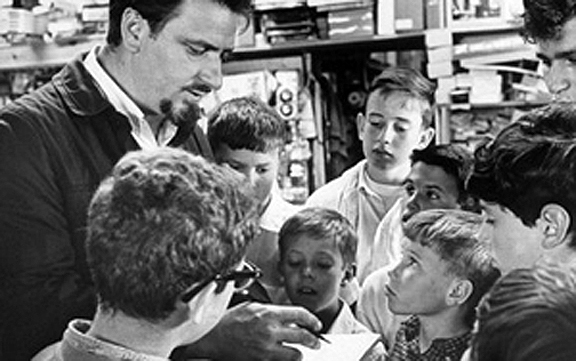 Another often overlooked aspect of Big Daddy’s Intellect were his sometimes subtle to blatant messages to Us Kids on the subjects of Anti -War, Question-Authority, yet showing Respect to Soldiers, Servicemen & Country, Government, Cops, The Establishment & encouraging us to ‘Stick It to the Man’. …he wasn’t always so Popular with the Parents..but in Retrospect – through his Crazy California Ways, his Humour with Tongue Firmly in Cheek and his Unmistakable Genius, maybe he was Right…and perhaps now one can ask – have we Learned any Lessons he was trying to Let Us in On ? 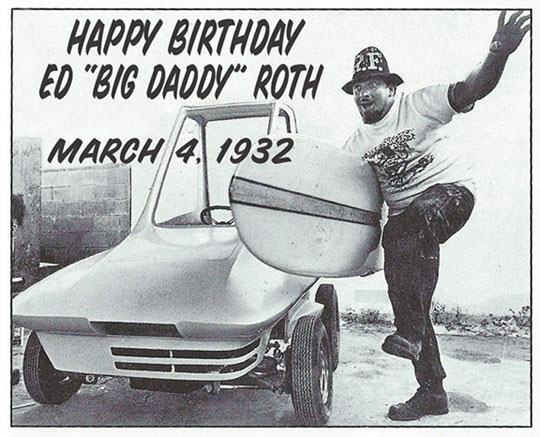 I was In The Presence of The Great Big Daddy Roth Twice. Once at the young age of my Peers in the photo above, at an L.A. 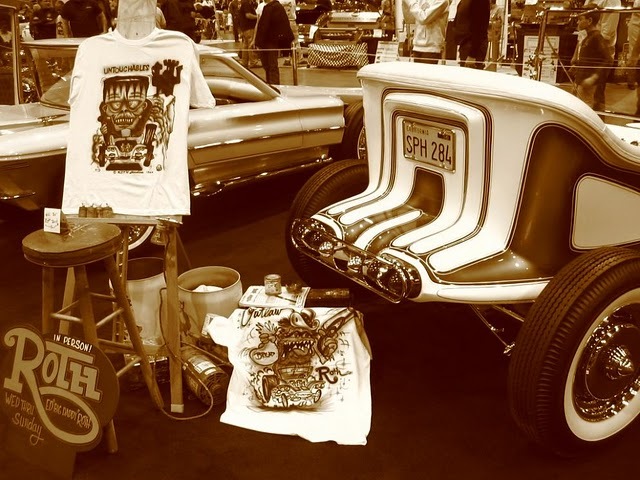 Car Show, watching Roth airbrush T-shirts, just like in the photo up top there, by himself working away, covered in paint ~ a cloud of enamel haze around his head. 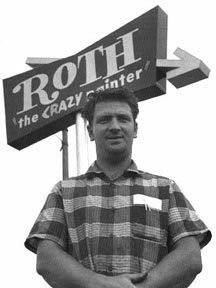 He obviously made an impression, as 10 or 15 years later, I was now a young Graphic Designer/Sign Maker sharing a studio not entirely different than Roth’s above with an early partner, whose Dad was Head of the Graphics and Sign Shop at Knott’s Berry Farm. Big Daddy was working there at the time, toward the End of his Career. So of course we went to see him, and I was Beside Myself. Walking into this archaic wooden, very rural-style shop left over from the Early 30′s Days of Knott’s, my expression upon meeting him was no doubt like those of the boys in that photo above, a Jaw-Dropping Idol of mine. I had been One of Those Kids. Roth had managed to Pinstripe, Flame, Scroll and Letter – in tiny script practically the entire surface of the Shop Interior with Big Daddy Speak. 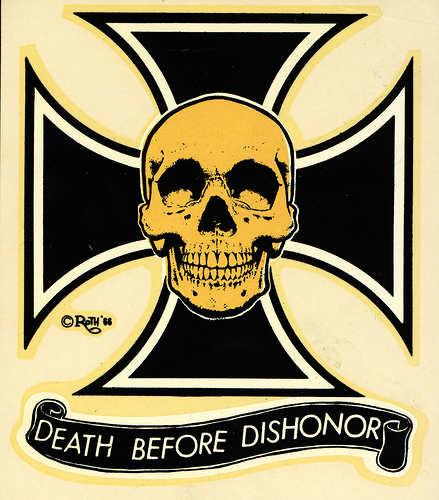 I had this decal for years in my garage. 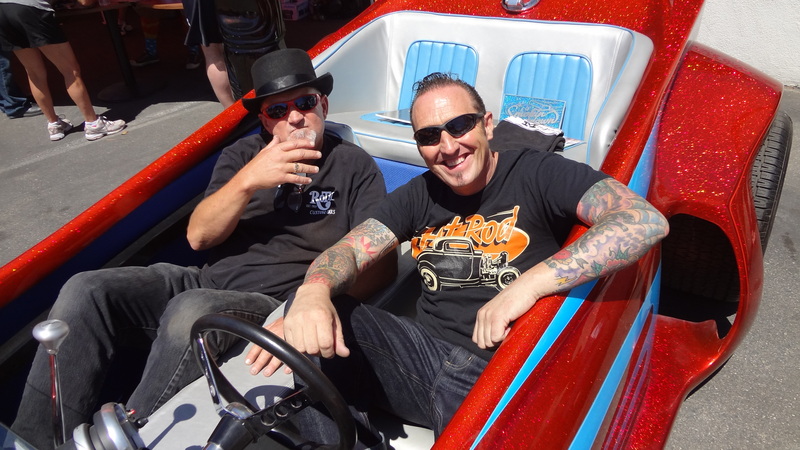 This is Me and Dennis Roth last year, me and Dennis and the Roth brothers have been friends for about 13 years now.